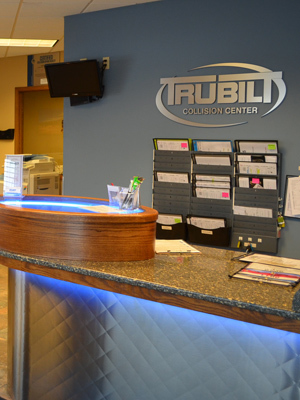 The staff at Trubilt Collision Center goes through continuous training and certification to make sure we're up to date on the most advanced technologies and techniques. Meet our staff below! I have been the owner of Trubilt Auto Body since 1997. I have been involved with the automotive industry since I was a child where my parents owned a repair garage and recreational vehicle sales business. Prior to buying Trubilt, I worked as a service manager for several years at a local car dealership. This experience helped me understand the importance of customer satisfaction and quality, which have always been my top two priorities as the owner of Trubilt Auto Body.I enjoy hiking, biking, and snowshoeing with my wife and being outdoors snowmobiling and 4-wheeling. Most of all I enjoy spending time with my family and grandchildren. I started working full time for the Trubilt team in June 2010 as the Fixed Operations Coordinator. I have been working part time in all areas of the business since 2003 which has really helped me learn all aspects of the business. I'm a graduate from the University of Wisconsin - Eau Claire, where I earned a Bachelors of Science Degree in Management. I have a goal of maintaining the longevity of customer service which Trubilt has provided in the Chippewa Valley since 1949. in my spare time I enjoy playing golf and many other outdoor activities, but the most important thing......the Packers! Master's School of Auto Body Management, Development Associates: Creating the Future, Masters Educational Services: Marketing, Sales and Operations, Masters Educational Services: Advanced Implementation, Fox Valley Technical College: CDAT Intro to Estimating. I joined the Trubilt team in March of 2009 after working in sales for four years out of college. I currently handle Trubilt's accounting, human resources, office management and marketing. I am Jerry's daughter and the 3rd family member to join the team. It has been a great experience working with family and I think we do a great job keeping each other in check. I live in Altoona with my husband; Scott, our two daughters; Reese & Piper and our golden doodle, Norman. In my free time I enjoy yoga and CrossFit, spending time with friends and family, the Green Bay Packers and just relaxing. I joined the Trubilt team in 2016 in the paint department. I live in Neillsville with my wife and our three kids. The most important thing to me is my family. We love spending time together, being out doors, camping, hiking and fishing. When I'm not with my family, I work like a BEAST! I've lived in the area all of my life and have worked in this industry for 20 years. I've performed every position in this industry except owner and I'm addicted to perfection! I enjoy hunting, fishing and spending time with my family in my spare time. I graduated from CVTC with a degree in Automotive Collision & Refinishing. 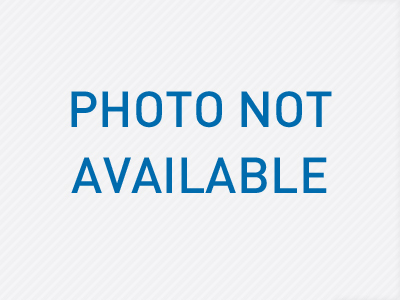 I married my wife, Miranda on October 20, 2012. I have a daughter name Mackenzi and three fur-babies named, Ricky, Lucy and Olaf. In my spare time I love to spend time with my family, go fishing and attend car shows. I joined the Trubilt team in July of 2014 as their Customer Service Representative but am also training in estaimating. I live in Eleva with my three wonderful children; Isabell, Maya and Tristan and my husband Luke. When I'm not working I enjoy watching football (especially the PACK), road biking, horses and spending time with my family. I became a part of team Trubilt in December 2013. I graduated from the Automotive Collision & Refinishing program at CVTC. I currently am the Repair Plan Technician and I enjoy work with cars. When I'm not working, I enjoy spending time with my wife and our children. Interested in Becoming Part of the Trubilt Team? "This was a wonderful experience, given the circumstances. Everyone I encountered was polite and professional. I know that I can go to them with anything." Copyright ©2019 Trubilt Collision Center. All Rights Reserved.